Ilmaen’s true Crown, Jastur, is safe; but his rule is not yet restored. Kerin knows it will need far-seer Renia’s help; but he can’t let Jastur know that. To keep Renia safe he must hide her ability – even from his Crown. Lemno Tekai is on their heels, and Renia must warn Kerin that his relentless enemy is, like her, a far-seer. That means telling him not to trust her, when trust is all that binds them together. If you like science fiction and fantasy book series like Game of Thrones or The Hobbit I highly recommend and all the series. Five Stars. Great characters and plot. 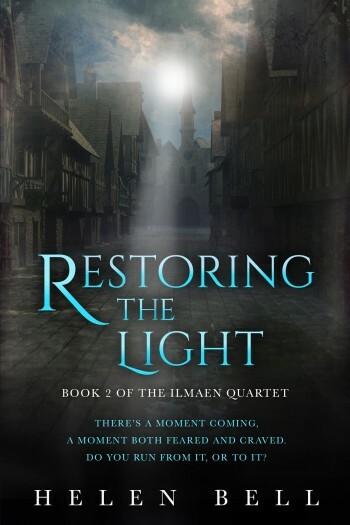 The pace of Restoring the Light is good moving forward in satisfying way... sense that there is more to come in the rest of the series. Loved it. Click here and we'll keep you up to date!